Consumer reports can tell you a lot about society. South Korea’s decriminalization of adultery made condom sales skyrocket in 2015. In December of 1999, Americans bought record amounts of bottled water for fear of Y2K. In 2017, we’re busy buying George Orwell’s dystopian masterpiece, 1984. Just a few weeks ago, Trump’s counselor Kellyanne Conway made that cringeworthy remark about Sean Spicer offering “alternative facts” regarding inauguration attendance figures. As always, the Internet was swift to retaliate, this time using Orwell as ammo. Tweeters invoked idioms from 1984 such as “doublethink” and “newspeak” to describe Conway’s farcical perversion of language. 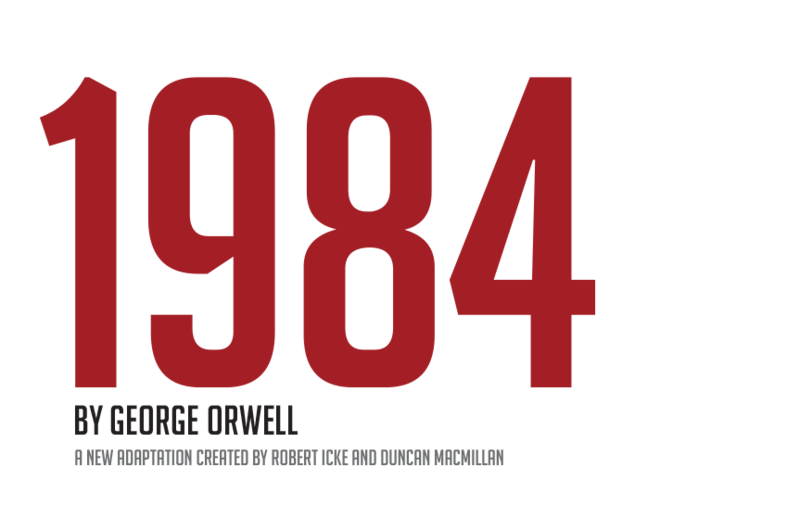 First published in 1949, 1984 scrutinizes an authoritarian government whose control has extended to the minds of its people. Independent thought is all but eradicated and facts are distorted beyond recognition. Given the current political climate, it only makes sense that readers would heed the novel’s forecast—and its recent 9,500% spike in sales speaks to that. But before Orwellian lingo was emblazoned across social media, the book’s themes found a home in rock n’ roll throughout the decades. From punk rock to rap, David Bowie to Stevie Wonder, here are 10 of the best songs inspired by George Orwell’s 1984. Released on Diamond Dogs, David Bowie’s theatrical “1984” came out a decade before its title year. Bowie was so taken with the book that he initially wanted to write a musical interpretation of it. Conflicts with the Orwell estate, however, thwarted his plans. “I know the impetus for Diamond Dogs was both Metropolis and 1984,” Bowie told Rolling Stone in 1987. While it might not be as lyrically eloquent as Bowie’s work, the song speaks to the anxiety that results from heightened scrutiny and fear mongering. The chorus demands, “And somebody told me / Big Brother’s watching you / And somebody else said /‘You know it’s not true’/ Who do you believe?” Ironically enough, both Orwell and Subhumans predicted the swarm of surveillance watching modern-day British citizens; as of 2011 there was one CCTV camera for every 32 people in the U.K.
Eurythmics’ infectious pop songs weren’t simply made of “sweet dreams.” Annie Lennox and company didn’t stop at a song, but wrote an entire soundtrack to the 1984 film adaptation of 1984. “Ministry of Love” is a particularly eerie track. In the book, Orwell’s narrator describes the Ministry of Love as “the really frightening one” of the four Ministries (Truth, Love, Peace and Plenty). “Miniluv” as it is abbreviated, “maintained law and order” in the book’s fictional state of Oceania. The Eurythmics’ song is more potent in composition than language, as the only lyrics are droning repetitions of “The Ministry of Love.” Sonically it is domineering and sinister; sterile drum machines and synths march under mechanical vocals. A frightening noise, which recalls a squealing pig, weaves in towards the end—maybe a slight allusion to the constant and laborious production of pig iron in the novel. Rage Against The Machine brought revolution to the forefront of commercial rock in a time when politics had taken a backseat on the charts. RATM, much like Orwell’s protagonist Winston Smith, were disillusioned with systemic flexes of absolute power. Their 1999 record The Battle of Los Angeles coincided with many politically tense events—Bill Clinton’s deregulation of Wall Street, the continued Zapatista rebellion in Chiapas and the WTO riots (or “The Battle In Seattle”) that sought to tear down corporate hegemony. Bay Area punks Dead Kennedys were a well-oiled dissent machine. Singer Jello Biafra may have dosed his lyrics with humor, but that only emboldened the band’s sharply satirical music. Their most famous song, “California Über Alles” condemns the alleged hippie-fascism of then (and now) California Governor Jerry Brown. With his tongue-twisting and homonym-heavy rhymes, Aesop Rock is considered a rather literary rapper. He’s been known to drop references to Shakespeare and flaunts an overwhelming vocabulary. So it’s no surprise that Rock (née Ian Bavitz) eventually plumbed the depths of 1984 for lyric material. On “One Brick” from 2001’s Labor Days, Bavitz raps: “Platforms have been erected / Effigies built / Slogans coined, songs have been written / Rumors have been circulated / Photographs faked / The hourglass smashed and didn’t leave me an escape.”The majority of the verse is lifted straight from the book, specifically the scene in which the Party is preparing for Hate Week. Radiohead’s 2003 album Hail to the Thief has undeniable political underpinnings, but the song “2+2=5” is Orwellian by title and content. “I was listening to a lot of political programs on BBC Radio 4,” Yorke told Rolling Stone in 2003. “I found myself—during that mad caffeine rush in the morning, as I was in the kitchen giving my son his breakfast—writing down little nonsense phrases, those Orwellian euphemisms that [the British and American governments] are so fond of. They became the background of the record,” said Yorke. The song’s opening lines reflect Yorke’s statement in the interview. “Are you such a dreamer / To put the world to rights,” he wails. “I’ll stay home forever / Where two and two always makes a five.” The nonsense equation refers to the Party’s ability to control information and deny even objective reality. Nearing the book’s end, protagonist Winston Smith has been heinously tortured by the Ministry of Love. Broken like a horse, he mindlessly traces “2+2=5” in the dust of a chess table, no longer questioning its absurdity. Brother / You say that you’re watching me on the telly / Seeing me go nowhere / Your name is Big Brother / You say that you’re tired of me protesting.” If it isn’t the most understated song about “Big Brother,” it is certainly the only one to employ the clavinet. Paul Weller of The Jam was a pro at sneaking subversive content into chart-topping hits, and “Standards” doesn’t stray from that model. The 1977 track is sung from the perspective of a totalitarian regime, much like the one controlling 1984’s Oceania. Though the entire song is Orwellian, Weller overtly references the book when he sings, “And ignorance is strength, we have God on our side / Look, you know what happened to Winston.” In fact, “Ignorance is strength” directly quotes the last line of the Ministry of Truth’s frightening slogan, while “you know what happened to Winston” points to the protagonist’s eventual brainwashing and defeat. As the book ends, its final four lines are devastating: “He loved Big Brother.” Oops. Spoiler alert.